A characteristic visual identification of a restaurant is an important element of its image. It not only helps consumers to reach their consciousness, but also to stand out from the competition. 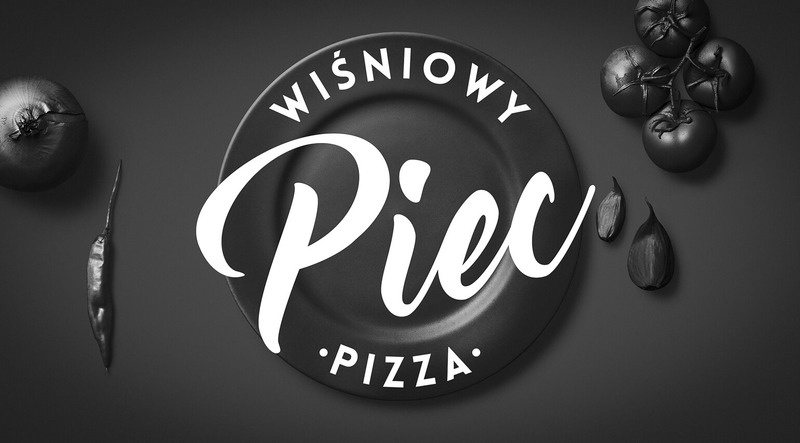 Therefore, when designing the logotype of the Wisniowy Piec brand, our task was to create a symbol referring both to the name and reflecting the character of this place. Our client wanted to make sure that the restaurant’s visual identification was designed in subdued colours, matching the interior of the premises. Therefore, we decided to stay with black and white while creating the project, although we also considered other concepts with variations on cherry colour. The font type used in the logotype of the project, with a delicately written font, is supposed to refer to the flames in shape. Thanks to this, the very word “The stove” takes on a new symbolic meaning in this context. 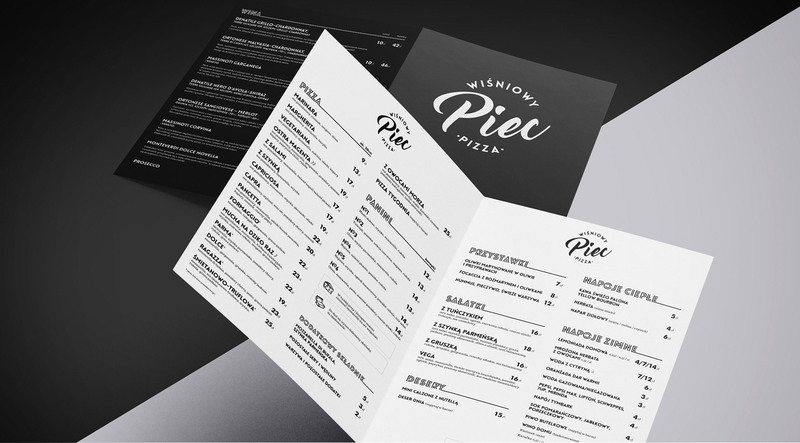 In addition to the logotype, we have also designed menu and leaflets in colours compatible with visual identification. In both, the card and the leaflet, we used an additional font from the logotype, but we presented it in a different form. We have also created icons adapted to the chosen style. The menu card is printed on a 350 g matt paper and enriched with matte foil.